THE MAGAZINE — Salt Water. 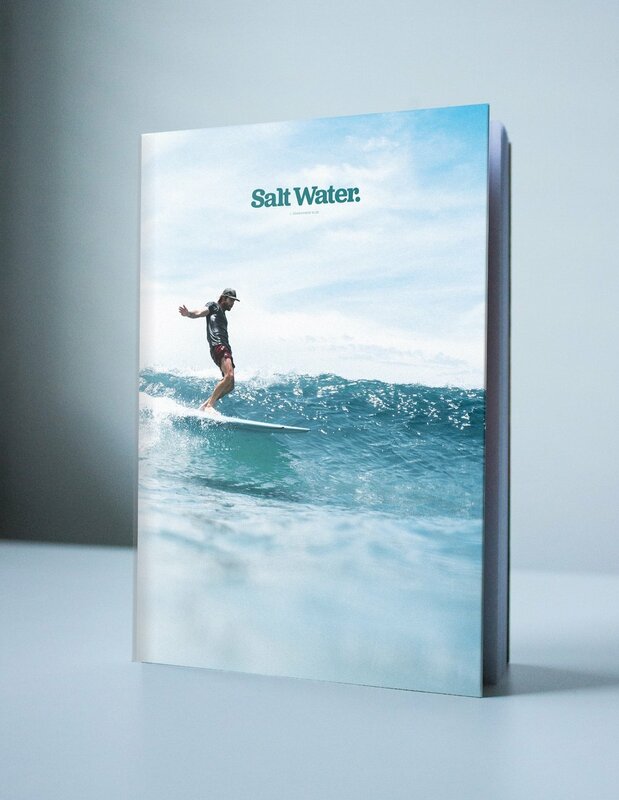 Salt Water is a bi-annual printed magazine focused on the revolution that is shaping alternative surf culture all over the world. We believe that surfing has a lot more to offer than performance shortboards and wave pools, and we make this magazine for people who share that belief. This is a place for creators to express themselves and share their art. We hope it inspires the rise of a wild new era in wave riding. The magazine itself is a 192 pages revue, printed in the Basque Country on recycled paper. The first issue of Salt Water contains fourteen stories produced by a variety of creative minds: photographers, writers, travelers and more. It’s centered around the theme of places. Location is the most important ingredient in the surfing experience. Whether it’s searching for empty waves in the middle of nowhere or the routine of surfing your home break. At home or with friends. Any board. Any time. Anywhere. That’s what it’s all about. Get yourself some prints featured in the revue. Worldwide. Turnaround time of 10 business days. These unframed prints are professionally packaged and shipped rolled in heavy duty tube. Shipping included for French customers.